MOSCOW (Sputnik) - US President Donald Trump's decision to cancel his G20 meeting with Russian President Vladimir Putin over the Kerch Strait incident is not a move that will help resolve the ongoing crisis since such issues need to be addressed through dialogue rather than be ignored, experts told Sputnik. The Russian and US presidents were scheduled to meet at the G20 summit last weekend, but Trump cancelled at the last moment following the escalation of tensions in the Kerch Strait. The US president named the release of the Ukrainian servicemen detained by Russia as his condition for meeting with Putin. Kremlin aide Yury Ushakov said on Sunday that the two presidents may meet in the future, including during the next G20 summit in Japan, but it was important for the two leaders to try and do so earlier. 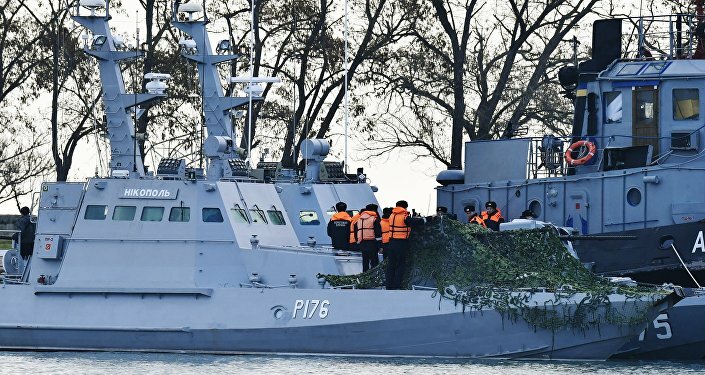 Trump's move comes a week after three Ukrainian naval vessels tried to pass through the Kerch Strait without obtaining permission from Russia and thus illegally crossed the country's maritime border. Russian authorities seized the ships and detained a total of 24 Ukrainian servicemen who were on board the vessels at the time. Following the incident, Ukrainian leader Petro Poroshenko declared martial law in several Ukrainian regions. Russian President Vladimir Putin has said that the incident was a provocation prepared in advance to boost Poroshenko's low approval rating ahead of Ukrainian presidential elections. Trump's pullout from meeting reflects a "one-sided and premature position" that will do nothing to help resolve the situation in the Kerch Strait, Dr Roland Hartwig, the vice-chairman of the Alternative for Germany (AfD) party's parliamentary group in the Bundestag, told Sputnik. "To talk to each other is always better than not doing it … I consider President Trump's decision to be a clear indication that the US will put the blame for the Kerch incident unilaterally on Russia alone. Taking such a one-sided and premature position will certainly not help to resolve the current crisis and may even keep Ukraine away from trying to find a mutually amicable solution with Russia", the lawmaker said. Earl Rasmussen, the executive vice president of the Eurasia Centre, pointed out that it was not only the Kerch incident but also other issues such as the situation in Syria and the US decision to pull out of the Intermediate-Range Nuclear Forces (INF) Treaty that required a comprehensive bilateral dialogue. "It is unfortunate that a decision was made to cancel the talks. These incidents typically call for more dialogue. Additionally, there are many more issues that need to be discussed to include Syria and Nuclear Arms agreements … Will the cancellation have an adverse impact? It is doubtful. Rather it will prolong movement on resolving issues and any type of rapprochement", Rasmussen said. Charles E. Ziegler, professor from the Department of Political Science at the University of Louisville and the director of the Grawemeyer Award for Ideas Improving World Order, told Sputnik, however, that the meeting's cancellation was unlikely to significantly affect bilateral relations as they are already at a low. "The cancellation of an extended meeting at the G20 between presidents Trump and Putin will probably not make relations any worse since they are already very poor", Ziegler said. The expert noted that the US Congress was also likely to impose another round of sanctions against Moscow. "I suspect that Congress may indeed seek to apply additional sanctions on Russia over the Kerch incident", Ziegler said. His concerns were echoed by Thomas J. Whalen, associate professor of social science at Boston University, who noted in his comments to Sputnik that Washington was also likely to boost pressure on Moscow through its NATO allies. "The termination of the talks means that relations between the two nations will be considerably frosty in the foreseeable future. Top US policymakers view the Kerch Strait incident as a blatant act of aggression and this could mean new sanctions against the Putin regime and increased military aid to the Ukrainian government. Expect the US to also pressure its NATO allies to up the economic and military pressure as well", Whalen said. The expert also voiced the concern that the ongoing crisis in bilateral relations could lead to a new Cold War. "The new incoming Democratic Congress will also be pressuring Trump to be tougher on Russia, which he'll probably be to avoid the appearance of being politically compromised. All in all, we might be seeing a return to the bad old days of the Cold War", Whalen stressed. According to experts, the cancellation might also be linked to a wide range of domestic issues faced by Trump as Special Counsel Robert Mueller's probe into alleged foreign election interference heats up. Shortly before the US president cancelled his G20 meeting with Vladimir Putin, the US Justice Department said Trump's former lawyer Michael Cohen had pleaded guilty to lying to officials over plans to build a Trump Tower in Moscow. Donald Trump has claimed that his ex-attorney was lying about a real estate project in Moscow because he hoped to receive a lighter prison sentence. "The Kerch incident is the official reason but it is almost clear that the decision had more to do with US internal politics as new details on Michael Cohen role came up", Marco Zanni, a member of the European Parliament from Italy, told Sputnik. 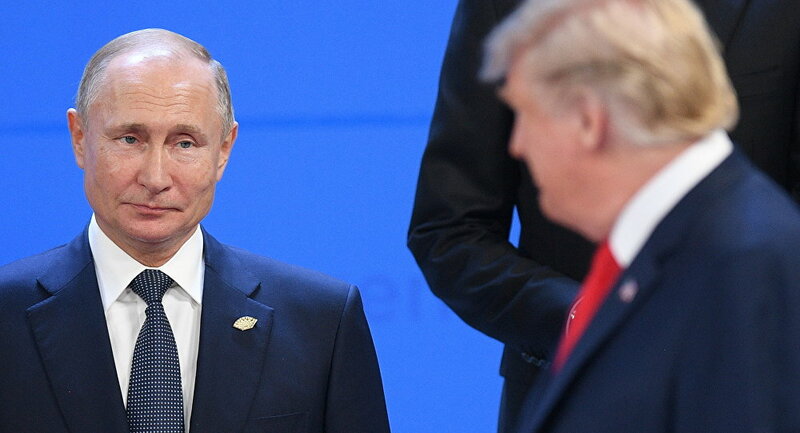 Ziegler noted that Trump's decision to call off talks with Putin could have been motivated by his team's fears that he would be criticised for being "weak" with the Russian president, similar to what happened after the two leaders' summit in Helsinki in July. "I'm sure that Mr Trump's advisors were happy to call off the talks given the revelations about Michael Cohen lying to Congress and the potential problems this presents for the president. In addition, I think his supporters were worried that he would have once again appeared to be weak in dealing with President Putin", Ziegler said. Rasmussen noted other factors that might have motivated the US president’s decision could be the strong criticism over his lack of a harsh response to the Saudi authorities’ alleged role in the gruesome murder of Saudi journalist Jamal Khashoggi in Istanbul as well as Riyadh’s military operations in Yemen. "Despite the publicly announced reasons, internal issues may also have factored in. Mr Trump is dealing with many things to include the Mueller investigation and Trump Tower meeting but also issues involving the support for Saudi Arabia's war in Yemen, the Khashoggi affair and trade. Any positive moves improving relations with Putin will be scrutinised by the media and political opposition", the expert said. For months, relations between the United States and Russia have been at what officials from both nations called the lowest point since the Cold War. The deterioration of relations followed Washington's allegations that Moscow had interfered with the 2016 US presidential election. Moscow has repeatedly denied these allegations, saying that the United States has not presented evidence to substantiate them.